Be the first to hear about their new releases and deals. 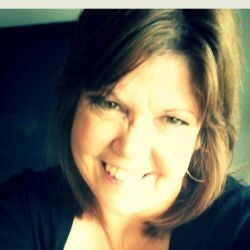 Download the Booksprout app and search for Kim Cresswell today! LETHAL JOURNEY won RomCon®'s 2014 Readers' Crown (Thriller) and was a finalist in From the Heart Romance Writers (FTHRW) Golden Gate Contest. The Assassin Chronicles TV series is in development with Council Tree Productions, a feature film and TV production company located in Los Angeles, California. The TV series: THE ASSASSIN CHRONICLES is based on Kim's upcoming 4-book paranormal/supernatural suspense thriller series: Deadly Shadow (May 2018), Invisible Truth, Assassin's Prophecy, and Vision of Fire.